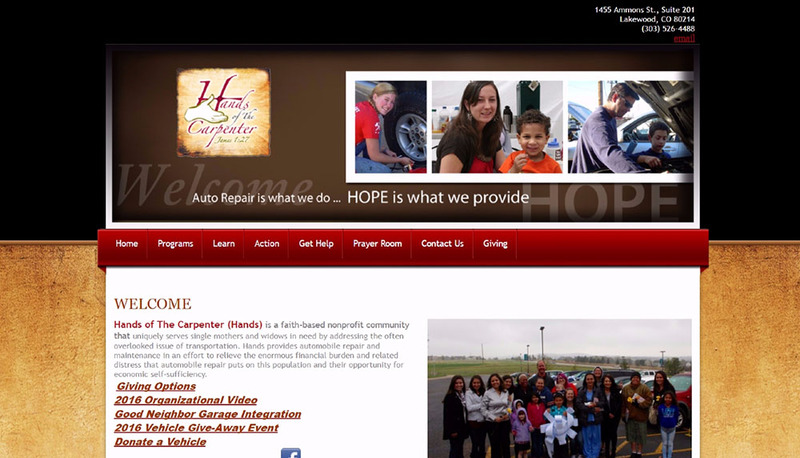 I recently redesigned the website for Hands of the Carpenter. 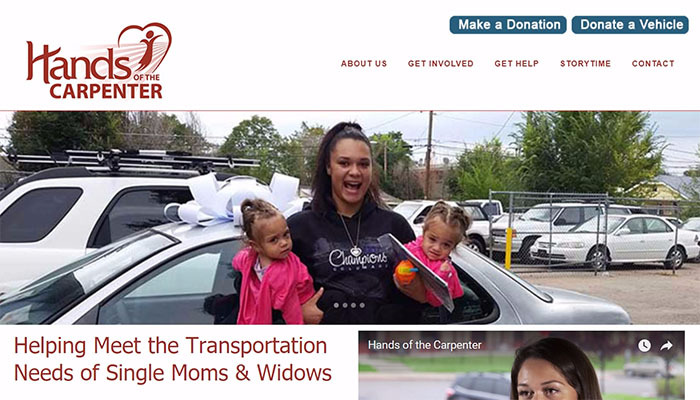 They are a nonprofit in the Denver area that seeks to help single moms and widows with reliable transportation in their move toward self-sufficiency. They do this through vehicle placement, repairs, maintenance, and education. With their vehicle placement, they rely on car donations through Good Neighbor Garage. Donated cars are either given for free to qualified recipients or sold at a greatly reduced price. Repairs are provided at 35 percent of the market rate at their car repair facility or through multiple auto repair partnerships throughout the Denver area. For the maintenance portion of their work, every two months they have a car care clinic where volunteers do an oil change and do a thorough safety inspection. Hands of the Carpenter also provides valuable instruction about their cars to increase their knowledge and awareness to prevent small issues from growing into big problems. I have been working at their location on a weekly basis to help them get the word out about their great work in the community.